In December 2018 the Public Company Accounting Oversight Board (PCAOB) issued an amendment to its standard on the use of specialists in a financial statement audit. To better understand the amendment, it is important to recognize the role of a specialist and why one would be engaged during a financial statement audit. Auditors performing audits of public companies often have to engage specialists during financial statement audits, depending upon the complexity of items listed on its client’s financial statements. Auditing Standard (AS) 1210, Using the Work of a Specialist, defines a specialist as a person or firm possessing special skills or knowledge in a particular field other than accounting or auditing. Some common specialists are actuaries, appraisers, engineers, environmental consultants, geologists and attorneys (in certain circumstances). 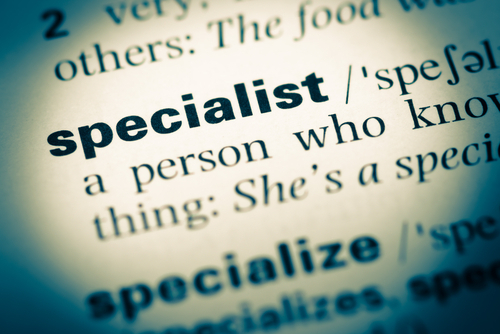 AS 1210 lists three ways that specialists are engaged for audit work: (1) management engages a specialist and auditor uses the specialist’s work as evidential matter for substantive testing; (2) management engages a specialist employed by the audit firm to provide services; and (3) auditor engages a specialist and uses their work for evaluation. Specialists with no relationship to the company provide the highest assurance of reliability, however, auditors can assess the risk of objectivity by the company specialist. The auditor must assess the circumstances to determine if the company can directly or indirectly control or influence the specialist. The December 2018 modification to AS 1210 changed the title of the standard from Using the Work of a Specialist to Using the Work of an Auditor-Engaged Specialist. It highlights two areas of update: using the work of a company specialist and using the work of an auditor’s specialist. First, the update added to and amended the use of the work of a company specialist as audit evidence. Additional requirements for assessing the work of the specialist has been added to the standard, as well as, bringing the standard in alignment with risk assessment standards and accounting estimates standards. Guidance on evidence to support auditor conclusions is also included in the amendment. For an auditor’s specialist, supplementary requirements have been added for applying the supervisory principles of AS 1201 to auditor-employed specialists and extending the requirements to auditor-engaged specialists. Supplementary requirements include communicating the work needed by the specialist, as well as, how to review and evaluate the work. Revision was made to the assessment requirements of the specialist as well as the obligation of the auditor when there is a relationship between the company and specialist that may affect objectivity. This modification is effective for audits of fiscal years ending on or after December 15, 2020.